Marriage vows speak to commitment during "richer or poorer and sickness and in health." Managing personal finances, sacrificing and nurturing individual needs for the sake of the union, and disagreements about replacing the toilet paper makes building a rewarding marriage - work. Throw in the demands of a competitive high-risk working environment, if not managed right, it can put a strain on marriage like nothing else. The bonds of love, commitment, and understanding are challenged by business demands of leadership, market changes, differing styles of management, employee, vendor and customer expectations, performance, and profit. 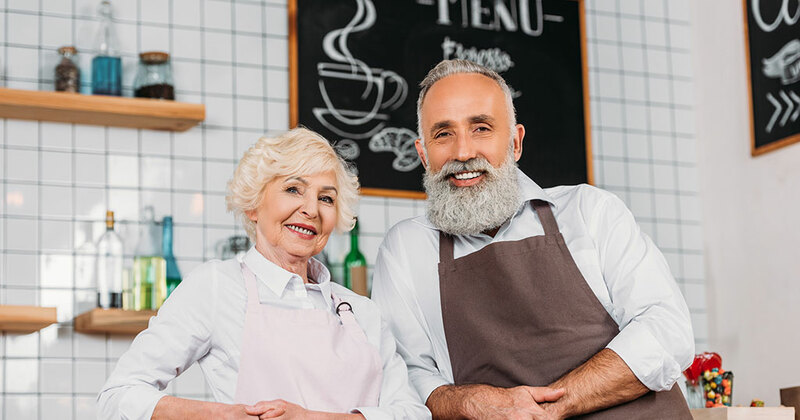 Just as in marriage, because of the work involved to create a successful multi-unit franchisee business, many find partnerships too difficult, which can be observed in the rates of sales and buyout because it's not worth the brain damage. Establishing "Operating Covenants" between the spouses that are similar to the promises of marital covenants. Operating Covenants can provide a framework for how a married couple respects one another and the chain of command in the workplace, avoids triangulations, empowers managers, and works out differences in private. Often, at The Rawls Group, we are asked to solve discoloration after the paint is dry. The best way we have found for an owner/business partner(s) to deal with conflict between operating spouses, is to first look in the mirror and ask, "what have I done wrong; what inappropriate marital accommodation have I made that is causing business problems?" Invariably both spouses are part of any marital problem, either as the perpetrator or as the peacekeeper, who did not want to create more family or business issues through confrontation. You must understand your complicit role in the development of this problem before you can initiate any program to change your spouse's (partner's) behavior. Otherwise your emotional bravado may be equivalent to volunteering to serve on the bomb squad without training. Loyd H. Rawls, chairman of The Rawls Group, has specialized in succession planning for closely held, entrepreneurial owned businesses since 1973. Well respected in his field, Mr. Rawls is a highly requested speaker and has published numerous articles and publications on this subject such as "Seeking Succession: How to Continue the Family Business Legacy" and "The Succession Bridge: Key Manager Succession Alternatives for Family Owned Businesses." For more information visit www.rawlsgroup.com.